The author is the principal in ANDHIL LLC, a St. Louis-based consulting firm. 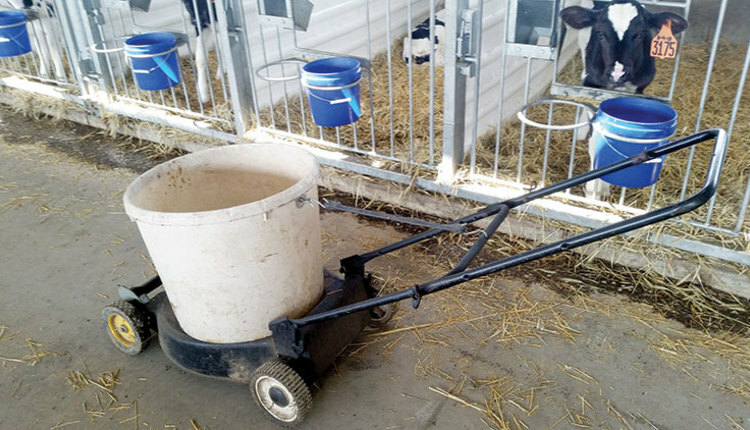 There is some good news and some not so good news when it comes to calf feeding. Let’s look at the good news first. Beginning around 2000, publication of studies done primarily at Cornell, Illinois, and Michigan State universities shed light on the benefits of feeding dairy calves more milk or milk replacer. The results were greater and more efficient calf growth rates. 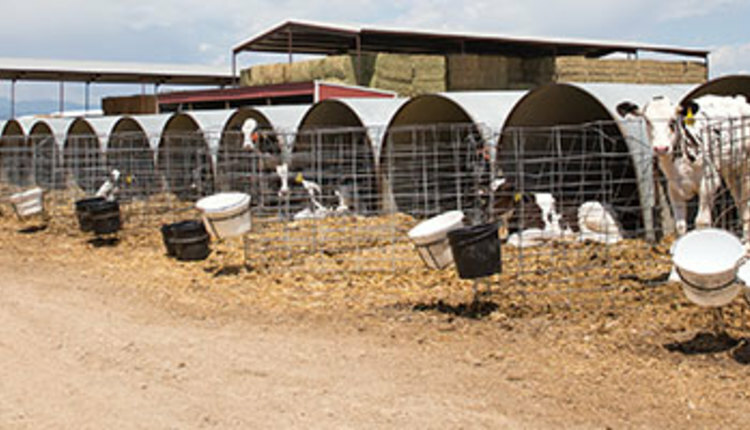 This feeding practice has been slowly adopted on farms as exhibiited by data from the 2007 and 2014 National Animal Health Monitoring System (NAHMS) surveys. The average age at weaning went up from 8 to 9 weeks. In 2014, almost 25 percent of farms fed 6 or more quarts of milk or milk replacer daily as compared to the more traditional 4 quarts daily. That was a 50 percent increase in feeding rate! So, what is the not so good news? 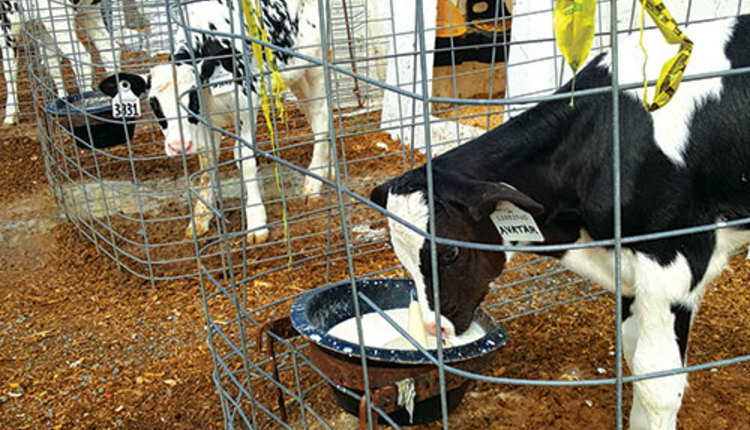 Calves fed high-liquid amounts, typically more than 6 quarts daily, struggle during the weaning transition period — the two weeks before and two weeks after full weaning. There is an inverse relationship between amount of milk or milk replacer fed and starter intake. 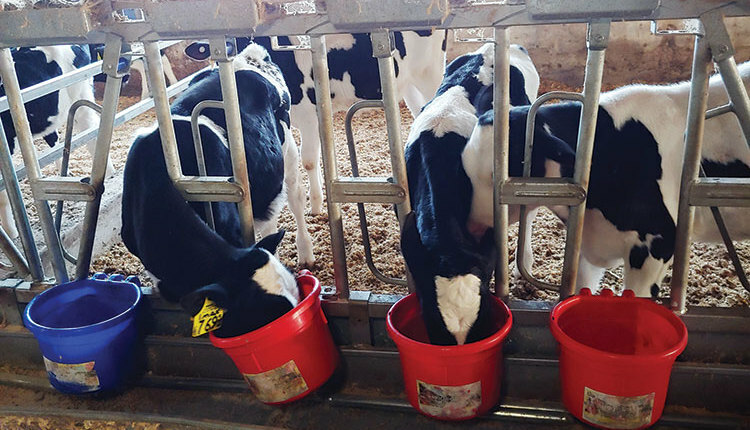 In a meta-analysis of 21 treatments from nine individual calf studies, a Penn State review found that for each 0.5 pound more of milk or milk replacer dry matter fed daily, calves ate about 0.33 pound less starter. When a transition is difficult due to low starter intake over a short period, calves may stall out, regress, and be stressed. This results in greater likelihood of respiratory problems, which impairs them for life. So, is there a happy medium? The Dairy Calf and Heifer Association’s Gold Standards have an objective to double a calf’s birth weight by the end of 2 months of life. 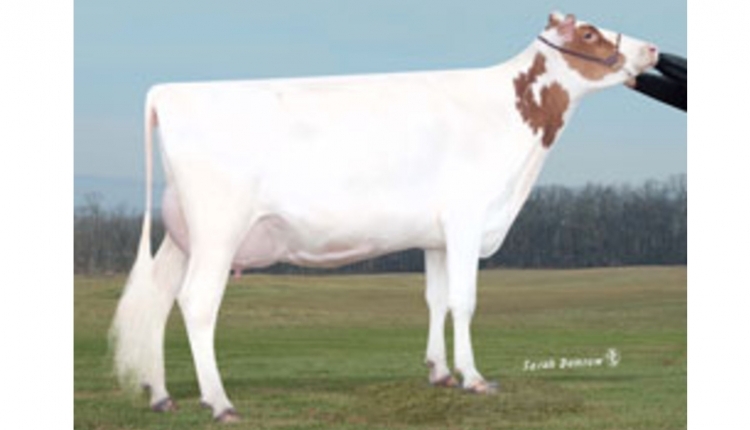 If a Holstein heifer calf weighs about 90 pounds at birth (this will vary with genetics and the dam’s parity), doubling that weight over 60 days requires 1.5 pounds of daily gain. Various feeding programs using combinations of milk or milk replacer and starter can achieve that objective. 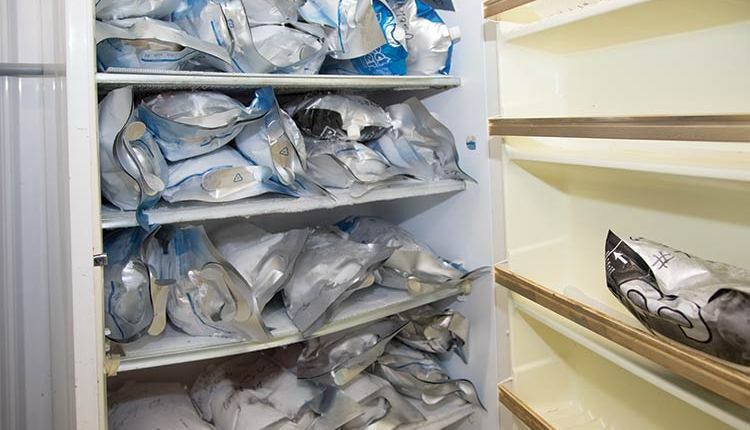 Several more recent studies published by the Provimi Nurture Research Center in Ohio shed further light on what happens with high milk replacer feeding. As a reference, if 4 quarts of milk replacer are fed at about 12.5 percent solids, that is about 1 pound milk or milk replacer solids. Feeding 6 quarts would provide about 1.5 pounds solids. In one study, calves were fed a daily average of either 1.29 or 2.29 pounds milk replacer solids with weaning at 49 days. The higher solids treatment had a step-up, step-down feeding program. It reached a peak of 2.88 pounds of solids daily and included 1.54 pounds of solids for the last seven days before weaning. Starter intake was lower with higher milk replacer intake than the lower solids group. The lower solids fed calves gained about 0.25 pound less than the double birth weight goal of 1.5 pounds. The higher fed calves gained 0.25 pound more than that objective. 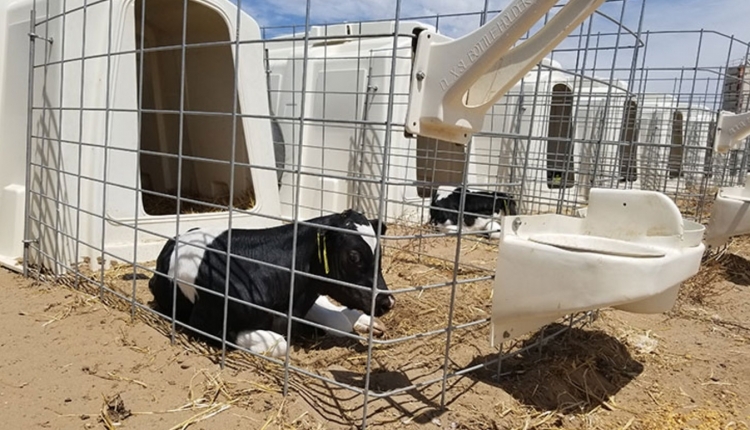 However, right after weaning, feed measurements of the higher solids calves showed lower dry matter, neutral detergent fiber (NDF), and acid detergent fiber (ADF) digestibilities. That was true when calves only had starter available at weaning. And in the following 56 days, calves that had been fed more milk replacer solids before weaning had 0.11 pound less daily gain, ate 0.53 pound less dry matter, and had 12 percent lower feed efficiency. In a second trial, daily milk replacer solids intakes averaged 1, 1.67, and 1.92 pounds for three treatments before weaning at 49 days. Again, starter intake was inverse to milk replacer intake. Even on the lowest fed milk replacer treatment, daily gain averaged 1.54 pounds — enough to double birth weight at the end of 2 months of age. The higher fed milk replacer treatment calves gained 1.70 pounds daily. The contrast between these two treatments during the following 56-day feeding period was notable. The highest milk replacer fed treatment had 0.2 pound less dry matter intake, 0.09 pound less daily gain, 9 percent lower feed efficiency than the low solids milk replacer group. Additionally, they had lower dry matter intakes and NDF and ADF digestibilities at 11 weeks on trial. These digestibility differences declined for dry matter, but not for NDF and ADF at the end of the 16- week trial. These differences indicate to me that there was lower rumen development for a shorter time period when starter intake was lower and when more milk or milk replacer was fed. But in these two studies, a well-texturized starter was also fed. Otherwise, I would have expected rumen development and function to be even poorer. When a calf is born, it has a non-functional rumen. The rumen does grow somewhat in volume even if calves are not fed dry starter, as occurs in veal calves. However, it is the type of fermentation that dry feed facilitates in the rumen that causes functional development. Specifically, the volatile fatty acids (VFAs) produced in rumen fermentation facilitate the development of rumen papillae, which are the short-shag rug finger-like projections in the rumen. In turn, papillae absorb VFAs as the primary energy source for any ruminant. The order in which these VFAs facilitate rumen papillae development is butyric, propionic, and then acetic. For that reason, feeding forage to calves isn’t the answer. Forage fermentation in young calves produces VFAs in the opposite order, which minimizes rumen papillae development. And since forage has a slow rate of fermentation, and a slow extent of fermentation and digestibility, forage fed to young calves often leads to gut fill (hay belly) and even lower intakes. Starch fermentation is needed for rumen papillae development, but there is also the danger of marginal rumen acidosis from high rates or levels of starch fermentation. Ground and all pelleted starters have this major limitation. The best option is a well-texturized starter. The larger particle size of whole or limited-processed grains in a texturized starter causes the calf to begin to chew its cud. This chewing reduces particle size for more extensive fermentation in the rumen. Chewing also produces saliva, which when swallowed buffers the rumen to keep it from becoming too acidotic. So, what should be done? First, determine what the starter intakes are for your current milk or milk replacer feeding program. I would also recommend feeding a well-texturized starter during the month before weaning and for the month after weaning. Along with that, feed no more than 1 pound of alfalfa or good-quality grass hay. 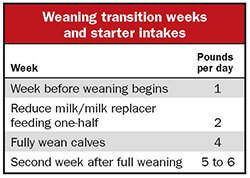 Recommended minimum starter intakes during the weaning transition weeks are shown in the table. As we have discussed, your milk or milk replacer feeding program will greatly affect calf starter intakes and when you can wean your calves. You need to have some measured starter intakes, along with some birth and 2-month-old body weights. 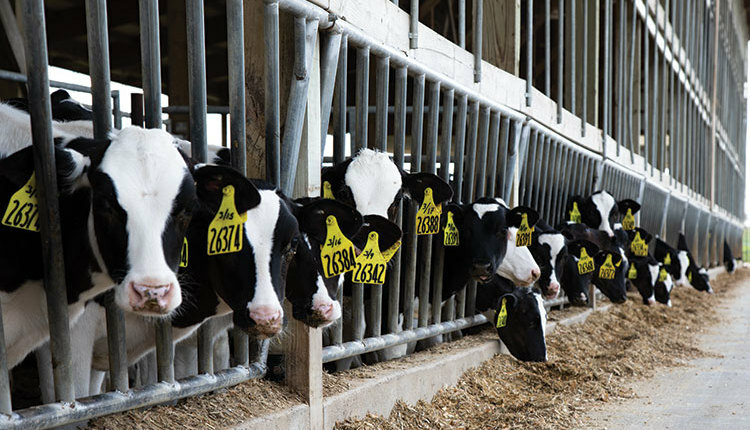 Limit postweaning groupings to no more than six to eight calves for that month before moving calves next into a larger group and adding more forage to the ration. How much water should dairy calves drink?